BestCities Global Alliance, a strategic collaboration between 11 of the world’s premier meeting destinations, has announced its most impressive programme to date, for its flagship annual event, the BestCities Global Forum, taking place in Dubai from 4-8 December 2016. Hosted in partnership with Dubai Business Events and Professional Convention Management Association (PCMA), the BestCities Global Forum presents the ideal learning environment for association senior executives responsible for organising international events. The unique and stimulating four-day session is guaranteed to educate and inspire delegates to create a lasting legacy for their organisation, while also generating new opportunities for future collaboration with peers from around the world. Places are limited, but still available, with over 20 associations already signed up, including World Autism Organisation, Alzheimer’s Association, International Astronautical Federation and World Environmental Education Congress. Held in the impressive surroundings of Dubai, the Forum features a packed programme of relevant case studies and thought-provoking expert speakers. This year’s programme includes: Forum Facilitator, Hazel Jackson, CEO of Emirates based biz-group; Dr Tommy Weir, Speaker and Professor of Hult International Business School; Oliver Martin, a stakeholder engagement strategist, specialising in destination development; Philip Davies, President of strategic brand consultancy EMEA Siegel + Gale and Sherrif Karamat, Chief Operations Officer, PCMA. The Forum will cover a range of relevant topics such as advancing the purpose of international associations through long-term legacy development, improving the event’s benefits to the host community and creating strategic partnerships with destinations. BestCities Board Chair, Jonas Wilstrup, Convention Director of Wonderful Copenhagen Convention Bureau said: “The Global Forum will focus on advancing the purpose of meetings, beyond delegate numbers to long-term legacy development. We will be exploring how global associations can create genuine partnerships with destinations, improving the event’s benefit to the host community and strengthen the success of the organisation moving forward. 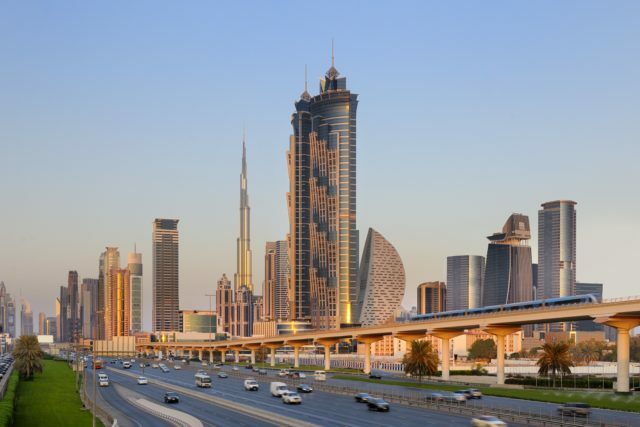 While the majority of the sessions will take place in the impressive five star JW Marriott Marquis Hotel, host Dubai, will also play an integral part of Global Forum, with Dubai Business Events planning a lavish showcase of the city’s rich cultural and social environments. There will also be the opportunity for delegates to establish relationships with local industry contacts, along with the network of BestCities partners. With no cost to attend, including return business class flights to Dubai, accommodation and meals, the Global Forum is open to senior association executives (or AMC on behalf of Associations) considering hosting International Business Events that rotate globally, relevant to any of the 11 BestCities Global Alliance partner cities: Berlin, Bogotá, Cape Town, Copenhagen, Dubai, Edinburgh, Houston, Melbourne, Singapore, Tokyo and Vancouver. Attendance: Open to all senior executives of associations that hold global events, (or AMC on behalf of the associations).